Winger Worrell progressed through the youth ranks and made his debut in 1983 at Old Trafford. He went on to make over 100 appearances for the club, before leaving to join Peterborough United in 1989. Having retired from the game in 1997, Worrell is now a tutor at Peterborough college and spoke to Watford Legends in 2010. Hi Worrell. How did you become a Watford player? My Sunday league manager at the time arranged a game against the Watford U14’s. Watford asked a few of the lads to go down after the game so they could have a closer look at them. I wasn’t chosen first time around but after a couple of months they did invite me to go training with them. I was the last one out of my school mates to go there. When I got to 14 I was offered a schoolboy contract for a year and then after that I got a two year apprenticeship. That lasted until I was 18 and then it went from there really. What do you remember of your debut? Now you’re asking! I remember it was away at Man United and I got called up on the Friday by Graham Taylor. I was still only 17 at the time I think. I remember being very excited, as you would be! I wasn’t particularly nervous though. I came on as a substitute and although we lost it was a great day for me. There were one or two other young lads playing as well which helped. It was a good day and a great way to make my debut. 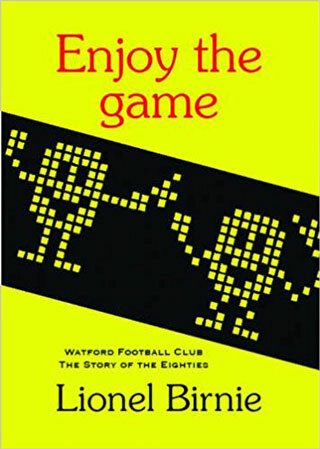 How did you enjoy playing under Graham Taylor? It was good. It was a good time to come through. It was the first year in the first division when I made my debut. A lot of us had been around the club as it was going through the leagues quite quickly so it was a very friendly, family orientated club to be around. That was also the year where we finished second only to Liverpool. It was a brilliant time and I obviously enjoyed the opportunity to play with some really great footballers such as Blissett, Barnes and Callaghan. It was a great era for football generally as well, especially with Liverpool having such a great team at the time. I was lucky enough to play against that Liverpool team at the end of that season at Vicarage Road. So yes my time at Watford was great, certainly the highest point in my career as I never got to that level again. Are you still in touch with any of your old team mates? No, when you leave a club it is quite rare that you do keep in regular touch to be honest. You may do with some for a while afterwards but really you leave to go and do your own thing. I found football was a place where you work with people and make acquaintances but you don’t really find you make good friends in the game. You obviously hear about what various ex team mates are doing but that’s about it. Do you have a particular game that stands out for you as a best game? I would have to say that Liverpool game at home on the last day of the season. We needed to win it to finish second so that was probably the highlight for me. It was a big game because not only would finishing second have been a huge achievement, it also meant playing in Europe the season after. It was a team that contained the likes of Dalglish, Rush and Souness to name just a few, all big name internationals. I wish I had kept the programme for that game. It was a great day, a great game and certainly the strongest memory of my career. You were with the club until 1989 when you went to join Peterborough. How did you come to leave the club? I was always in and out of the side really. I did have one season where I played a few games but then got injured and could never hold down a regular spot. I needed to leave and go somewhere where I could play regular football. It meant having to drop down a couple of leagues to join Peterborough but it did mean I got that regular football that I was looking for. You hung up your boots in 1997, what have you been doing since then? I was at Lincoln when I finally packed in the game and I wasn’t prepared at all to be honest. A lot of other players around my age had plans but I had nothing. The only thing I really knew about was driving. So I ended up as a delivery driver for a few companies delivering all sorts of things, from furniture to fruit! I did that for a few years but still kept myself involved in football and continued to do some coaching work with kids. I also went back to college and done a few courses and got some qualifications. I then applied for a job at Peterborough regional college in the sports department and was fortunate enough to get the job. I’ve been in teaching since then really. I’ve been teaching for about five years all told. I am a sports tutor now at Huntingdon College and I also do some work for Peterborough United working with their scholars on the education side. They need to do 11 hours a week in the classroom as part of their football education so that is what I do on a Monday and a Friday. It is nice because they are working their way through the ranks the same way I did and so I know the pitfalls of being an apprentice footballer. It is something I am quite happy doing and I enjoy it, it is good fun. Thanks for your time Worrell.